DPM license plate holder, laser cut with four attachment points. 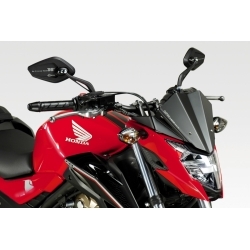 Adjustable tilt up to 30°, locations provided to retain the original turn signals and plate LED lighting included in the pack. As an accessory, an adapter to keep the OEM reflector. Adapter to attach the OEM reflector to your DPM license plate holder. 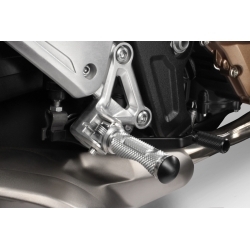 DPM GP driver's footpegs for CB500F 2016 and up. 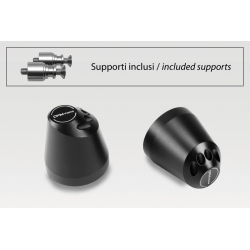 High quality aluminum part including a nylon plug. 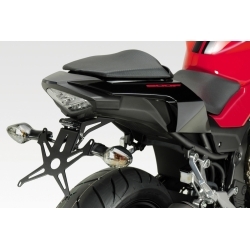 DPM GP passenger's footrests for CB500F 2016 and up. 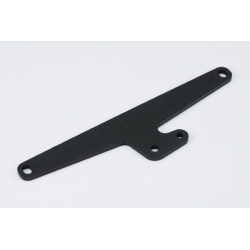 High quality aluminum part including a nylon plug. 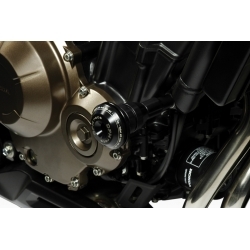 Made of aluminum, these engine sliders by DPM are designed to absorb and distribute the shock during a fall to, if possible, limit the material damage. DPM is one of the only equipment manufacturers to offer 100% opaque aluminum windshields : guaranteed effect ! For your CB500F, DPM offers this black product, laser cut, for an assertive look while maintaining a base air protection. DPM Darklight handlebar caps for CB500F. 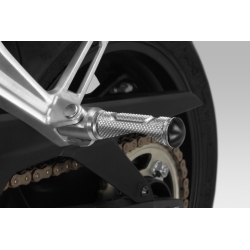 Aluminum cut in the mass for perfect racing finish of your motorcycle.